Tomorrow, October 17, Phi Delta Epsilon will launch their international day of philanthropy: Stand For The Kids. Stand For The Kids (SFTK) joins all students in unison as they stand to raise funds and awareness for local Children’s Miracle Network Hospitals. While each event may vary, the impact is the same. It’s a powerful day raising awareness worldwide. Children’s hospitals are special places, graced with experts trained in the care and handling of small, fragile, sick and injured children. Phi Delta Epsilon International Medical Fraternity creates physicians of integrity with a life-long commitment to their guiding principles of philanthropy, deity, and education through fellowship, service, mentoring, and formal training in leadership, science, and ethics. 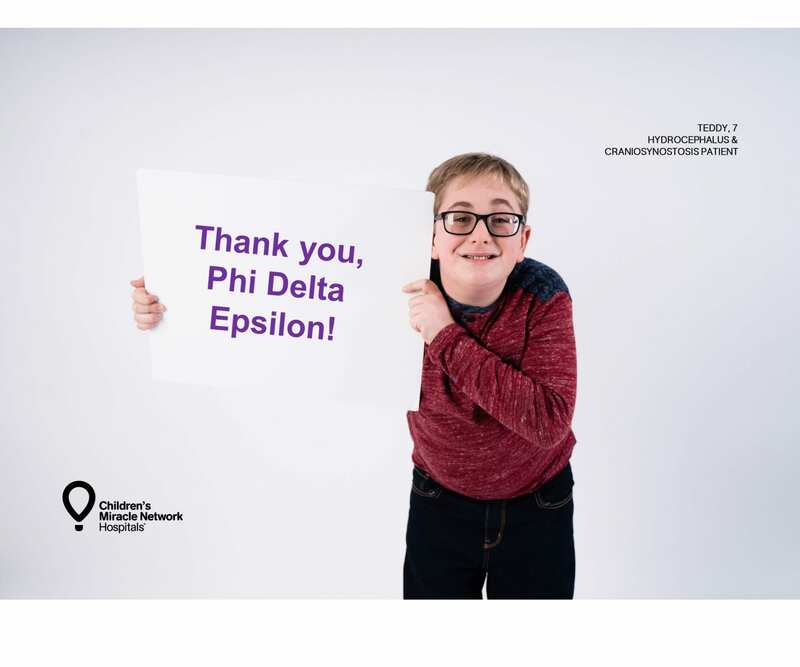 Phi Delta Epsilon believes in giving back to their global community and has been a philanthropic and service partner of Children’s Miracle Network Hospitals since 2006.